Jansen is a Partner with the firm’s Commercial Litigation and Fraud, Asset Recovery and Investigation groups. His practice covers a wide range of commercial matters with a strong emphasis on disputes, often with challenging issues of law, including cross-border elements and foreign law. He specialises in Anti-Corruption and Regulatory Investigations, having acted for one of the largest Singapore conglomerate in the first ever FCPA resolution involving a local company in Brazil. Jansen appears regularly before the Singapore Courts and is active in the arbitration arena. Jansen graduated from the University of Bristol in 2006 and was called to the Singapore Bar in 2008. 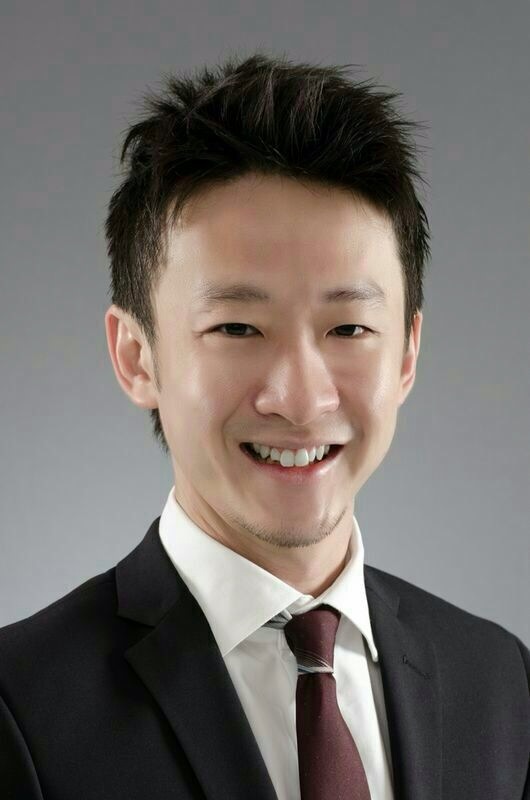 He was appointed as a member of the Young Amicus Curiae scheme with the Singapore High Court for two terms in 2010 and 2011, and was named by Singapore Business Review as one of Singapore’s most influential lawyers under 40 in 2016. His main areas of practice include commercial disputes, banking and securities law, arbitration and anti-corruption and regulatory investigations. Jansen advised one of the largest Singapore conglomerate in a highly publicised corruption scandal in Brazil. This was the first ever FCPA resolution involving a Singaporean company, and an unprecedented global settlement co-coordinated with criminal authorities in three jurisdictions in the U.S., Brazil and Singapore. The firm was awarded “Boutique or Regional Practice of the Year” at the Global Investigations Review Awards in 2018 for its role in this matter, which was also nominated for “Most Important Development of the Year”. He has substantial experience in court litigation, and has successfully argued a trial in the Singapore High Court as Lead Counsel since he was a Senior Associate. He has been involved in various high-profile trials and appeals to the Court of Appeal, such as the case of Hwang Cheng Tsu Hsu (by her litigation representative Hsu Ann Mei Amy) v Oversea-Chinese Bank Corp Ltd, the leading authority in Singapore on banker’s duty relating to suspected elderly fraud and mental incapacity. He has also advised on matters involving foreign proceedings in jurisdictions such as England, Thailand and Indonesia. Jansen is also active in arbitration both in the local and international arena, having acted in arbitrations conducted under the SIAC Rules in Singapore and the JCAA Rules in Japan. He acted in the case of PT Prima International Development v Kempinski Hotels SA, which is the leading authority in Singapore on the role of pleadings in arbitration under the SIAC rules, as well as, AKN v ALC, which Court of Appeal decision is the leading case on the consequences of setting aside an arbitral award on the tribunal’s mandate. Acted for a bank in defending a highly publicised claim brought in the name of an elderly 92 year old customer for alleged breach of banker’s duty in relation to the sum of about S$9 million held in her account. This was the first reported banking case in Singapore involving suspected elderly fraud and mental incapacity. Acted for a leading brokerage firm in Singapore in its claim against its dealer for indemnity against losses incurred in the trading accounts of the dealer’s customers. The case was reported in the Singapore Business Times as “one that could impact the entire stock-broking industry” in Singapore. Acted for a securities firm in its claim and enforcement against a prominent ex-banker in Singapore. The debtor was eventually bankrupted with aggregated debts of over S$100 million in Singapore. Advised a securities firm in its claim and enforcement against individuals in Indonesia, including the commencement of bankruptcy proceedings in the Indonesian Courts. Advised a brokerage firm in relation to alleged claims by customers of unauthorised trades and transfers arising from purported instructions given from the customers’ email accounts, which the customers claimed were hacked. Acted for a bank in interpleader proceedings involving a dispute between a mother and son over monies in a bank account. The bank account was in the name of the son but the monies originated solely from the mother, who was named as a mandate holder of the son’s bank account. Acted for an Indonesian company in defending a claim for over S$3 billion in a SIAC arbitration involving a gold and copper mining project in Indonesia. The dispute involved issues of Australian and Indonesian law. Acted for an international vehicle distributor in a Japanese arbitration under the JCAA Rules for a claim of over US$300 million for wrongful termination of a distributorship agreement in Thailand. The distributorship agreement was governed by Japanese law. There were also related proceedings in the Thai Courts. Acted for an international hotel management company registered in Switzerland against a hotel owner in Jakarta in setting aside three arbitral awards made in Singapore. The Court of Appeal decision in this matter is the leading case in Singapore on the role of pleadings in arbitration under the SIAC rules. Acted for an owner of a steel plant in Philippines against the liquidator and secured creditors in applications to set aside an arbitral award made in Singapore. The underlying dispute involved a claim of over US$200 million, and was governed by Philippine law. The Court of Appeal decision in this matter is the leading case in Singapore on the consequences of a setting aside an arbitral award on the tribunal’s mandate. Advised one of the largest Singapore conglomerate in a global resolution of US$422 million with criminal authorities across three jurisdictions in the U.S, Brazil and Singapore. This was the first ever case involving a Singaporean company for FCPA violations. Acted for defendants in a claim for €500 million by a solar energy company listed on the New York Stock Exchange. The defendants’ assets worldwide (including Europe, China and Singapore) were frozen under a Mareva injunction and placed into receivership. There were also concurrent legal proceedings in England. Acted for a listed company in Singapore in a claim for breach of a tenancy agreement for an entire building. The main issue in dispute was whether the parties had concluded the tenancy agreement even though it was stated to be “subject to contract”. Acted for an insurance company in defending a claim by a policy-holder for alleged fraud and breach of contract. The dispute involved a critical year feature of the policy, which received widespread media coverage in 2003. It was estimated that more than 110,000 policies in Singapore may have been affected by the critical year issue. The insurance company also claimed for defamation against the policy-holder for false statements published on her online blog. Acted for an automotive merchant in seeking disclosure orders against a leading motor vehicle website operator and telco-provider to identify the author of a defamatory online “customer” review. The posting of the “customer” review was eventually traced to the neighbouring shop of the automotive merchant. Advised and represented a beneficiary of an estate with an estimated worth of over S$300 million. The assets of the estate are located worldwide, including Singapore, Hong Kong, Australia and England.